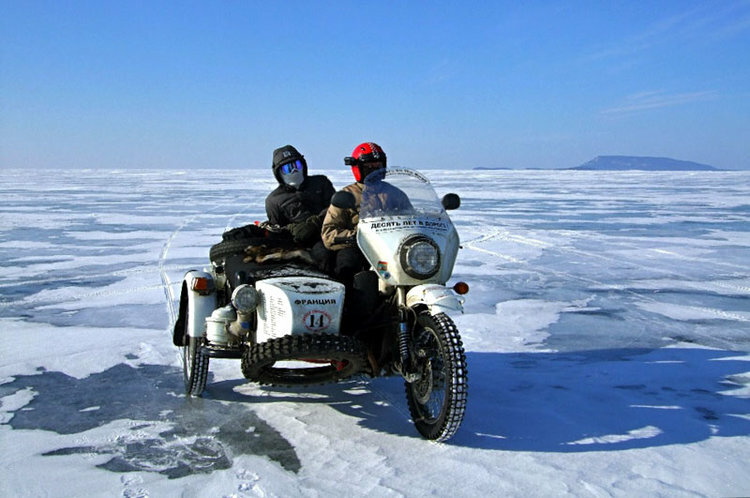 Each winter, 500 miles southeast of Irbit, Russia, home of the Ural factory, the world's largest freshwater lake freezes creating over 400 miles of barren ice fields. Adventure seekers from across the globe navigate to discover one of the world's most demanding rides, including the legendary semi-annual Ice Run. 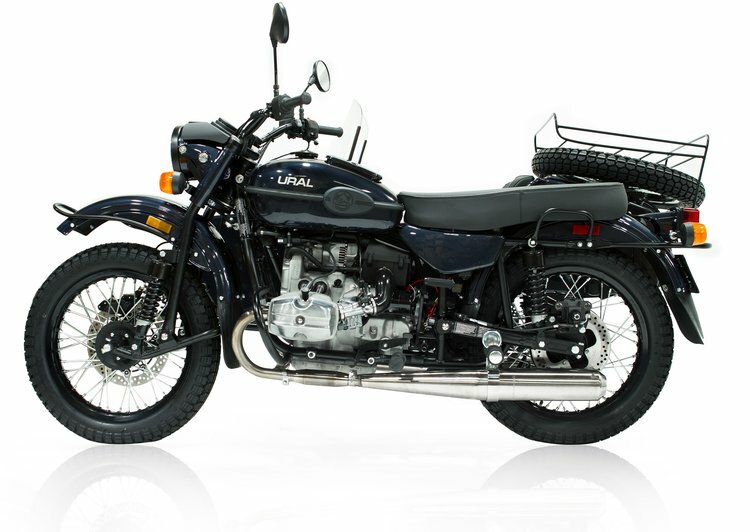 Ural Baikal LE comes in new Baikal Blue metallic colorway with Yamal orange interior accents. 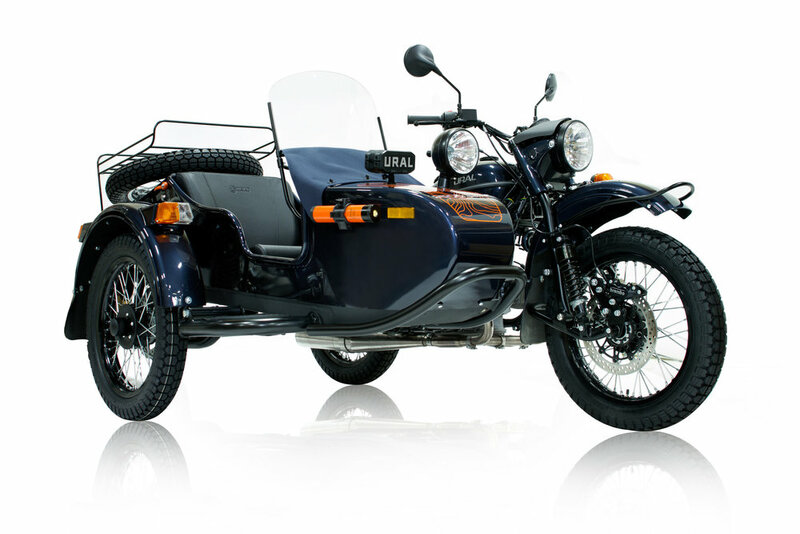 Standard equipped with our legendary on-demand 2 wheel drive and sidecar mounted spare wheel, this Ural is ready to take you far beyond the marked trails. Cut through the ice, literally, with the side mounted high carbon steel hatchet. Keep your vodka in the VSSL x Ural compact flask and light your campfire with Titan stormproof matches. 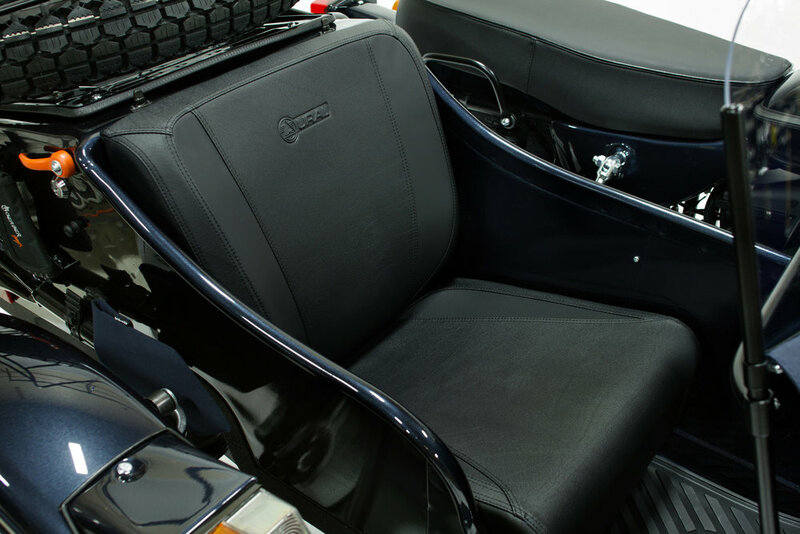 Baikal LE features full protection with ceramic undercoating on the sidecar tub and interior of all 3 fenders. Combined with the standard issue sidecar windshield your bike and co-pilots will be full protected from the harsh gusts of Siberian winter. Bring a friend and bring good music along - your Baikal has all weather proof portable Ural x Braven speaker installed ready for the road ahead! Lake Baikal is the world's largest and oldest freshwater lake. Located in the heart of Russia, Baikal contains 20% of the planet's fresh water, enough to provide the world population drinking water for 40 years. Baikal is 400 miles long and the deepest continental body of water in the world with a maximum depth of 5,315 feet. 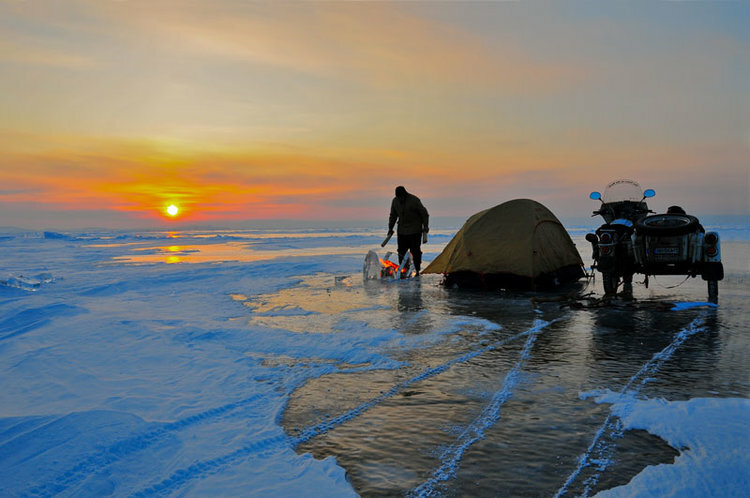 The average winter temperature is -6°F (-21°C) creating over 12,000 square miles of solid ice, thick enough to support cars and of course, sidecar motorcycles. 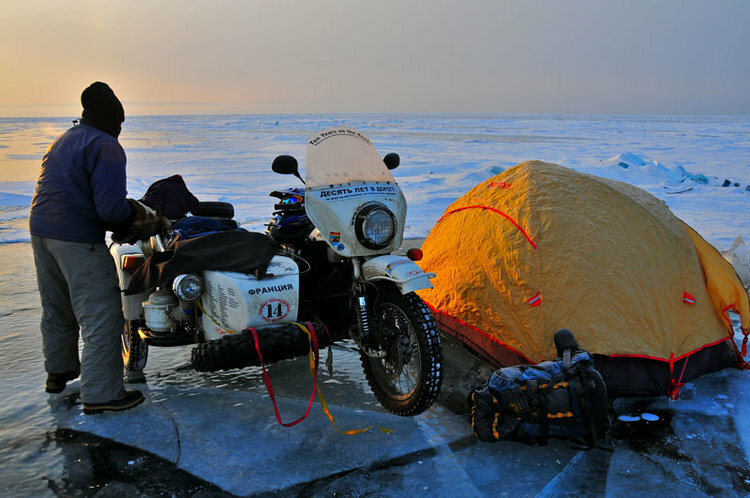 The Ural Baikal Limited Edition was inspired by the world travelers who have crossed Lake Baikal's frozen 400 mile surface on 3 wheels. Located in the heart of Russia, these riders inspire the next generation to look beyond the map, and layer up. and dealer-installed options. Dealer prices may vary.